The Twelve Week Transformation starts exactly where you are now and guides you along the journey to where you want to be. Its a process of gradual change. This program is completely bespoke; we’ll work together to totally transform your relationship with food and exercise for the long term. I’m good at uncovering where you need to focus your efforts in order to get the best results, and I have plenty of tricks up my sleeve to help you make sure the changes we make will truly last you for life. At the end of the program, you’ll have lost weight and toned up; you’ll feel full of energy and have glowing skin. You’ll be sleeping better and be feeling inspired. We’ll grow your knowledge and understanding, and you’ll have a routine which works for you. If you haven’t exercised in years, I’ll show you how to get started; we’ll find something you love doing and find a way to fit it into your life. If you’ve been exercising regularly and want to continue with the exercise you love, we can work together to optimise what you’re doing. 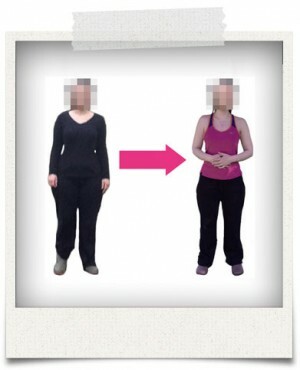 The Twelve Week Transformation is a blend of 1-2-1 Personal Training and Remote Coaching. We’ll meet face to face four times during the twelve weeks and we’ll speak once a week via FaceTime or Skype. Its the perfect blend of accountability, support and autonomy; adding up to a fresh approach to health, fitness and nutrition which will last you for life. There won’t be any getting out of bed at 5am to pound the pavements in the rain, no restrictive meal plans which mean you can’t have a glass of wine on a Friday night, and we’ll work together to make sure you’re eating satisfying, healthy, tasty meals. All backed with my guarantee that you’ll drop at least one clothes size during the program, or I’ll give you your money back. So what are you waiting for? Start your transformation today!